With production starting in 1963, 9 years after the introduction of the 300 SL and 190 SL sports cars in 1954, Mercedes Benz presented the motoring world with a single successor to both these extremely successful early SL models. Characterized by its comfort, performance, and safety, the Mercedes 230SL was also known for its timeless design. The 1965 Mercedes Benz 230SL and other year models saw similarity with the previous models only in its iconic Mercedes grill and color-keyed hubcaps, other than that, the 230 SL was nothing like its 190SL and 300SL forebears. It is rumored that some of the Formula-1 drivers of the time thought of the Pagoda as one of the best handling autos of the time and as it may come as no surprise, the 1965 Mercedes 230SL and other Pagoda’s had a roster of celebrity owners including John Lennon, Audrey Hepburn, King Hussein and Sophia Loren. As with all classic cars, when you’re ready to buy a 1965 Mercedes Benz 230SL, it is best to purchase the best example you can afford. The 230SL, with approximately 19831 units produced, was sold in large numbers and there are still a great number of these classic cars available today. 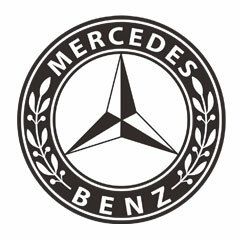 In fact, many of the parts for the 1965 Mercedes SL can still be purchased directly through Mercedes Benz. Whether you’re looking to purchase a project car, a showroom condition car, or a Mercedes Benz 230SL for your everyday driver, ER Classics has the knowledge and classic car resources needed to help you find the car of your dreams.